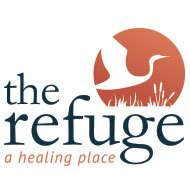 Ocklawaha Therapist: The Refuge, A Healing Place - Therapist 32179. Send A Message To The Refuge, A Healing Place. With a mission to help each and every client unearth the root causes of problematic behaviors and addictions, The Refuge, A Healing Place offers life-changing care that can help men and women ages 18 and older heal in mind, body, and spirit. Because trauma has the ability to impact the whole person, The Refuge aims to treat those who come for care with a holistic approach that can bring about positive, everlasting healing. In an atmosphere that is safe and encourages clients to challenge themselves to push beyond their trauma, this center offers programming that is unlike any other. Via research-backed treatment methods, yoga, hypnotherapy, meditation, breathwork, equine therapy, and various trauma-focused approaches, men and women alike can embark on a journey towards healing that assists them in identifying how their past experiences have influenced their present decision-making abilities and circumstances. In doing so, The Refuge’s clients can develop the confidence and skills needed to refrain from maladaptive behaviors and unhealthy thought processes so that they are able to live the healthy and fulfilling lives they deserve. Furthermore, the staff of professionals who provide clients with ongoing support are deeply compassionate and dedicated to the kind of work that they do, which ultimately adds to the quality of the services available at The Refuge. The Refuge supplies the resources and support needed to heal from these concerns and the trauma that lay beneath so that a brighter tomorrow can begin today.